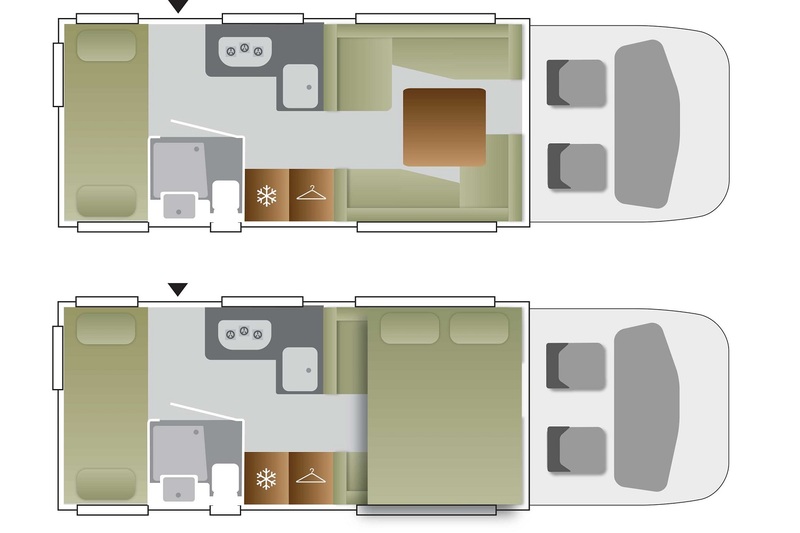 If you’re looking for comfort and space, then the Auto-Roller 707 is the motorhome for you. 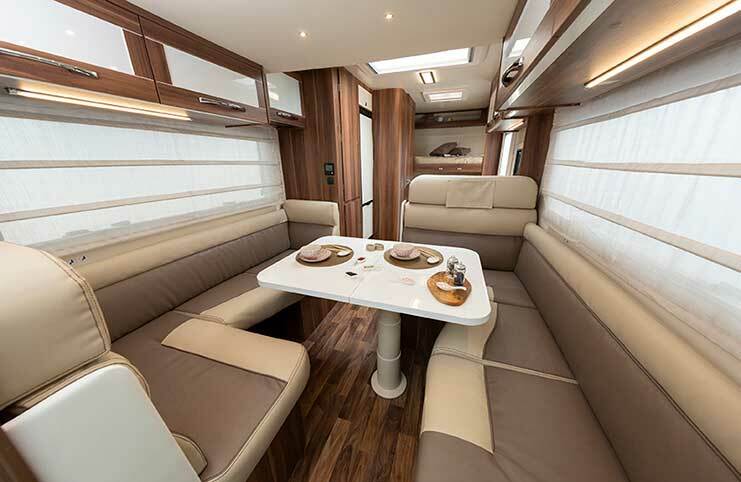 It has a unique ‘double L shaped’ dinette lounge, with a fixed central table, perfect for evening entertainment, or stretching out on your own with a good book. 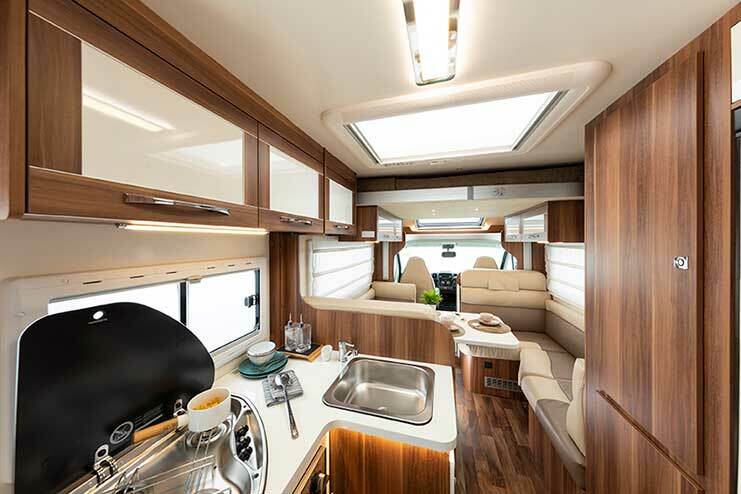 The 707 has been expertly designed to offer maximum storage space as well as living accommodation for a family of four or a group of six. 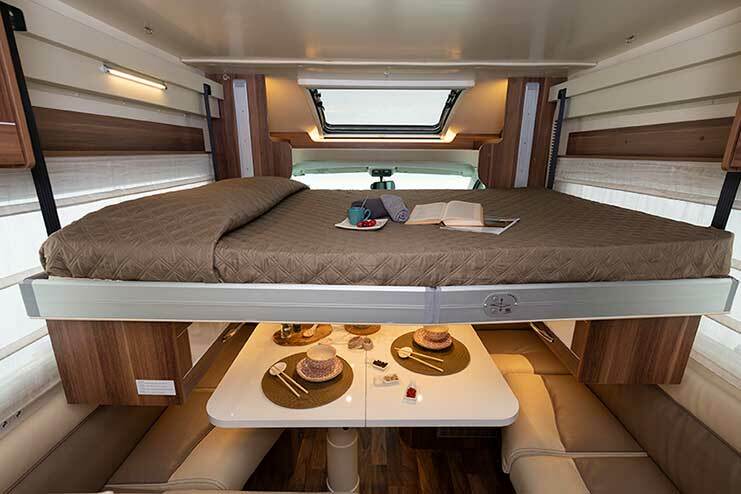 The twin bunk beds (suitable for adults as well as children) run along the rear of the motorhome, with the bottom bunk able to be stowed away to create a sizeable garage space, ideal for large items or sports equipment. 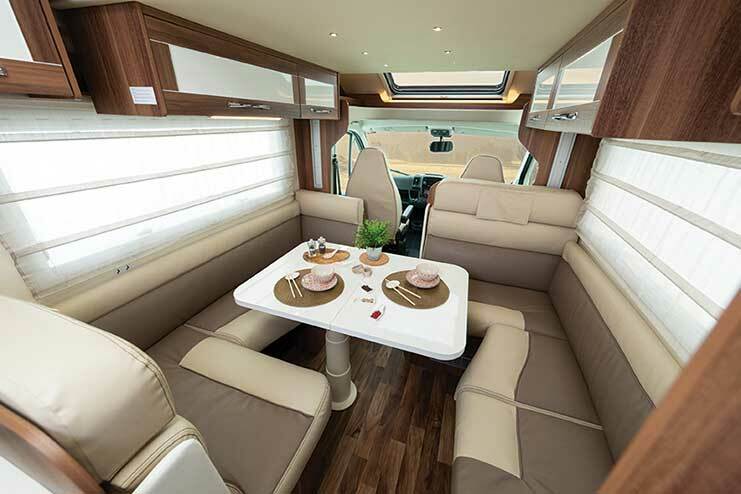 It has a fantastic drop-down double bed behind the cab, measuring just over 6ft in length, that comes down above the large dinette, which can also be converted to a double bed if travelling in a larger group. The modern washroom is a combined wet room with a good sized shower, plus toilet and hand basin. The L-shaped kitchen includes a large sink, plentiful storage, along with a gas oven/grill and 3 burner hob. The tall fridge/freezer makes sure there is enough room for food and drink for everyone. 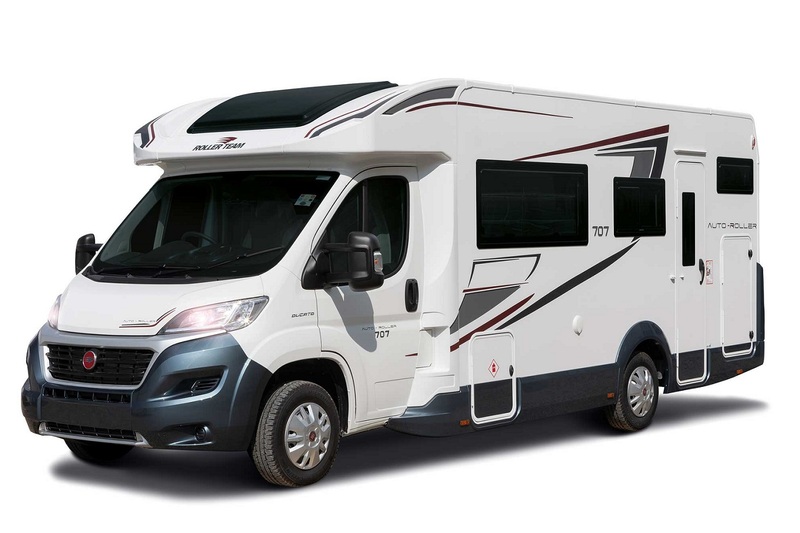 All this space and comfort and the Auto-Roller 707 still comes in at under 3500kg, which means only a standard B1 driving licence is required, so there are no restrictions for anyone wanting to hire this motorhome. Images used are from the manufacturer. Not available to hire until July 2019.